19 And from the earth the Lord God made every beast of the field and every bird of the air, and took them to the man to see what names he would give them: and whatever name he gave to any living thing, that was its name. 20 And the man gave names to all cattle and to the birds of the air and to every beast of the field; but Adam had no one like himself as a help. 22 And the bone which the Lord God had taken from the man he made into a woman, and took her to the man. 23 And the man said, This is now bone of my bone and flesh of my flesh: let her name be Woman because she was taken out of Man. 24 For this cause will a man go away from his father and his mother and be joined to his wife; and they will be one flesh. 25 And the man and his wife were without clothing, and they had no sense of shame. Marriage is the union of a man, a woman and God and such a threefold cord isn’t easily broken! (Ecc.4:12). It’s an institution pioneered by God in Eden. Today, most marriages aren’t working because people have turned away from the original Wisdom of God, its Founder, to self-will and human ideas. On the other hand, God’s approval won’t make a marriage work automatically; both parties must be committed to make it work by following the Word devotedly! When Adam saw Eve, he didn’t need introduction from God; something of her called out to him and something of him reached out for her! The God who brought Eve to Adam after a lonely period has a mate for you and He’s the perfect Match-Maker for those who trust Him! When Adam called Eve the bone of his bone and flesh of his flesh, Eve didn’t object and God did not; that three-cord agreement was very vital! Adam and Eve both knew the same God and received the same instructions; don’t go and marry someone who follows a different faith, you won’t agree! There’s no marriage evangelism, don’t go and marry him thinking you’ll convert him; if he’s not saved now, you’d better not say yes! Your parents aren’t perfect but consider their marital counsel as long as it doesn’t conflict with the Word; they’ve been here way before you! Don’t jump on that fellow just because he sings very well and prophesies; take your time to find out who he is outside church! Dressing seductively will at most attract you to people who will sleep with you and go away; godliness is what attracts a godly person! It’s not about his pocket but about his potentials, not about his words but about his acts, not about today but about tomorrow! Marry someone you can believe in for today, hope in for tomorrow and love unconditionally for all time! So you want to marry him to convert him? Hmmm…Bravo! But please tell me, since when have you and the Holy Spirit started swapping offices? Marriage isn’t by chance and luck or fate and prophecy but the commitment of two people to agree with God’s Word and stay married in true love! The question isn’t, “Am I perfect or is my partner perfect”, but “are we both willing to submit to the authority of God’s Word?”. If prophets have told you that you married wrongly, dispel the prophecies and follow the Word because God hates divorce and love transforms! Someone can only be a wrong mate before you marry them; if you’re already married, zero your mind off wrongness so you can enjoy your union! God still hates divorce; He has not revised the Bible! The only thing that not even prophecy can stop is true love! A million prophets may endorse your union and countless angels announce it, but it still won’t work automatically; it takes both of your commitments! If the reason you’re marrying him/her is what parents and prophets told you, remember they won’t be there with you so seek God for yourself first! The decision to follow the Word and remain as one no matter what (not based on feelings but on obedience) is the wisest decision you can ever make! That storms and oppositions come against your union doesn’t mean God isn’t in it; remember, Jesus was in the ship when the storm came! God’s approval doesn’t mean there won’t be storms, but it guarantees that you will not be drowned because He’ll be present! God distributes His grace in line with His direction; if He authorized you to marry someone, He’ll supply the grace to live with them! Adam blamed Eve and Eve blamed the serpent; as long as you’re not ready to take responsibility for your actions, you’re not ready to grow! If you marry him because of his influence and riches, don’t complain if he’s not well behaved; look out for Christ in a spouse! Your marriage will only be free of crisis to the extent to which you allow the Word of Christ to rule you and guide your decisions and conduct! Do you call your wife unholy names? Just remember that you’re only a male fashion of whatever you call her because you’re both one! You may be a preacher at church but you’re a husband/wife at home; don’t use your calling to excuse your responsibility ~ it kills marriage! 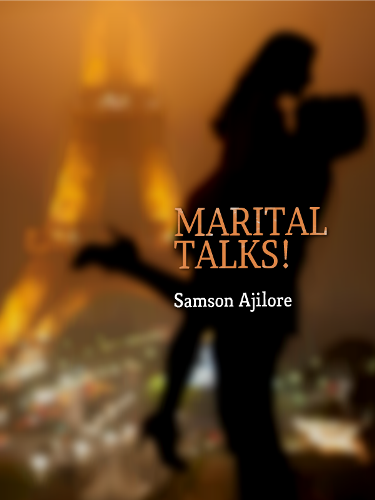 Who said marital romance is carnal? They must be more spiritual than the God who allowed the Songs of Solomon into the Bible! If you dress lustfully, you’ll be addressed for lust; people see you before listening to you, don’t let your dressing say what you don’t mean! Treat her like a princess and she’ll treat you like a prince; carry her like a priceless treasure and she’ll seal you upon her heart! If you marry her for shapes and curves, what happens when she becomes a mother and increases in size? Marry her for her heart and unchanging love! Marriages fail because folks replace the Bible with Psychology; they consider the Author’s Manual of marriage as now outdated! “That if you confess with your mouth the Lord Jesus and BELIEVE IN YOUR HEART that God has raised Him from the dead, you will be saved. For WITH THE HEART ONE BELIEVES UNTO RIGHTEOUSNESS, and with the mouth confession is made unto salvation” (Rom.10:9-10 NKJV). You, see, don’t go get the Word into your head only because it will not produce faith there, it will only generate faith in your heart because faith is of the heart… Mark 11:23-24 says “For verily I say unto you, That whosoever shall say unto this mountain, Be thou removed, and be thou cast into the sea; AND SHALL NOT DOUBT IN HIS HEART, but shall believe that those things which he saith shall come to pass; he shall have whatsoever he saith. Therefore I say unto you, What things soever ye desire, when ye pray, BELIEVE THAT YE RECEIVE [THEM], and ye shall have [them]”. 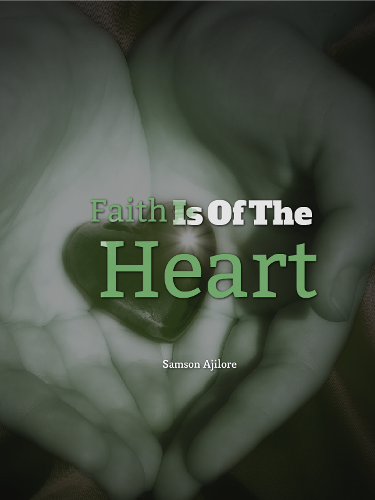 Both faith and unbelief are of the heart. This is not speaking of your blood-pumping heart but your recreated human spirit. If you believe in your heart, even if your mind doubts it, yet it will work out but if you try believing with your mind, you stand no chance of success at all because you’re just keeping the Word in the wrong place. Your heart or spirit has the capacity to believe for what your mind can’t even handle. Faith is generated when the spirit digests the Word of God. The digestion takes place in meditation. The just shall live by faith and faith comes by hearing the Word because when we hear, we digest and generate faith. In Biology, there is something called stimulus and response. Stimulus is anything that stimulates or ignites; it is anything that triggers response. Response is the reaction to that stimuli or ignition. Take for example if someone punch you in the face, that punching is a stimulus. A response is anything that you do to respond to the stimulus. Continuing with the face punching example, you would probably scream in pain and want to punch the person back except you get calmed by the constraining voice of God’s love within you: those are your responses to the stimulus. Now, when the Word of God comes into the heart, it stimulates or ignites the heart and the heart responds in faith! So faith is the response of the human heart or spirit to the stimulus or ignition of God’s Word! Faith doesn’t come until the Word comes. The Word of God triggers the human spirit! “So then faith [cometh] by hearing, and hearing by the word of God” (Rom. 10:17). We that are made the righteousness of God in Christ are now the just and that righteousness is revealed in and through us from faith to faith. We leave one realm of faith to another as we grow. So we go from weak faith to strong faith and so on (2Cor. 5:21). “For therein is the righteousness of God revealed from faith to faith: as it is written, The just shall live by faith” (Rom 1:17). Faith is responding to God’s Word. Don’t join the crime of treating the Word as though it were a common book but receive it as the infallible Word of God by acting upon it. Don’t ask God for faith; instead know that you have faith already and start using it. Just believe that all that He says is the truth and act upon them because that is what faith is. Imagine your own daughter asking you to help her believe your words because she doubts all that you say; I’m sure you won’t be happy about that. That shows how God feels when we fail to believe in what He says; it’s a matter of integrity. God’s integrity is stuck to His Word. Faith is acting upon that Word! If you believe in what God says you won’t be sitting down, you will be running with it. The Word works!!! To Be Able To Identify Your Calling From God, You Must First Of All Know That There Are Gifts And There Are Callings. 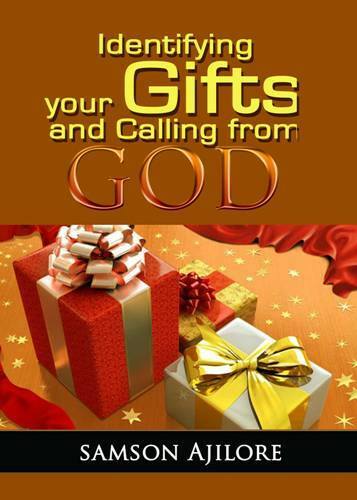 Your Gifts Are The Gifts Of The Spirit Like Healing, Prophecy And So On (Spiritual Endowments 1Cor.12) That Are Operative In Your Life; They Are Usually More Than One. On The Other Hand, Identifying Your Calling Is So Simple; It’s What You Are Called To Do, It Is Essentially Singular, It Is Your Assignment. It Is What To Do With Your Gifts. Your Strongest Passion Will Usually Move In The Direction Of Your Destiny. If You Have A Call To Minister To Children For Example, You Will Always See Their Needs And Want To Meet Them. God Will Frequently Expose Your Eyes To See The Needs You’re Called To Meet. The Holy Spirit Will Impress It Upon Your Mind To Do It And You Will Not Have Peace Until You Do It. Your Calling Therefore Is That Need, That Assignment, That Passion That Is Holding You So Strongly And Never Letting You Go. It Is The Most Compelling And Prevalent Of All Your Desires! There Is Such Thing As The Inward Witness Of The Holy Spirit. That Is; The Spirit Witnessing To You On The Inside To Do Something (Rom. 8: 16; 9:1). Also, It Is Possible That You Can Desire To Do So Many Things That Are Not In Line With Each Other, Those Are Just Desires But Your Passion For What You’re Called To Do Is The Divine Counsel Of God And It Is Absolute, Therefore It Will Overpower All The Rests. “[There Are] Many Devices In A Man’s Heart; Nevertheless The Counsel Of The LORD- That Shall Stand” (Pro.19:21). You May Love So Many Things, But Your Calling Is Your Prevailing Desire. It’s Your Spiritual Prevailing Desire That Lines Up With God’s Word And The Witness Of The Spirit. The Holy Spirit Will Always Deal With You In The Line Of Your Destiny, Your Assignment And Your Calling. You Must Also Know That Your Calling Is Unique, That Is; Nobody Else Can Do It As You Would Because Everybody Is Unique In This World. Another Way To Tell What Your Calling Is Is The Fruit Or Result That Follows You. The Lord Jesus Says That A Tree Is Known By Its Fruits. “Ye Shall Know Them By Their Fruits. Do Men Gather Grapes Of Thorns, Or Figs Of Thistles? Even So Every Good Tree Bringeth Forth Good Fruit; But A Corrupt Tree Bringeth Forth Evil Fruit. A Good Tree Cannot Bring Forth Evil Fruit, Neither [Can] A Corrupt Tree Bring Forth Good Fruit. Every Tree That Bringeth Not Forth Good Fruit Is Hewn Down, And Cast Into The Fire. Wherefore By Their Fruits Ye Shall Know Them” (Math.7:16-20). Your Life Will Produce Fruit According To Your Ministry! 1. What Fruits Follow You? 2. What Do You Do Well? 3. What is it that People Get Blessed When You Do? 4. What Do You Feel Fulfilled When You Do? Therefore, That Thing That You Do Well, That You Feel Very Fulfilled When You Do, That Edifies People When You Do, And Produces Godly Fruit, The-Same Is Your Calling. Moreover, Your Calling Is Between Your Abilities, It Is Ever Pressing And It Won’t Let You Go. Notice That You Won’t Have To Strain Yourself To Do Your Calling Because It’s Within Your Ability. When You Step Into Another Person’s Calling You Will Struggle Fruitlessly. A Good Example Is The King Saul, He Was Only A King, Not A Prophet Or Priest But His Fall Came When He FORCED Himself To Perform A Sacrifice (Out Of Fear) Which Was Only Within The Power And Office Of Samuel Who Was Both A Prophet And Priest To Do (See 1Sam. 13:8-14). Stay Within Your Calling And Be Faithful To It. Your Anointing, Ability And Productivity Only Lies Within The Sphere Of Your Calling. • Paul’s Calling Was To Preach To The Gentiles (Rom.11:13). It Was So Strong That He Said To Himself “Woe Unto Me If I Do Not Preach The Gospel”. Your Calling Isn’t Optional, It’s A Pressing Necessity (1Cor.9:16). • Peter’s Calling Was To Build The Church By Preaching Mostly To The Jews (Gal.2:7-8). He Ran Back To Fishing (His Former Trade) But The Lord Wouldn’t Let Go Of Him. Your Calling Won’t Let You Go And Until You Obey It. The Holy Spirit Will Always Point Your Heart In That Direction (John 21:1-19). Every Calling Has Specifications Like Paul Was To The Gentiles And Peter To The Jews. Even If You Mistake, God Will Still Restore You To Your Calling. An Example Of Full Restoration Is Seen When Peter Denied Jesus Three Times And Three Times The Lord Gave Him An Opportunity To Say ‘I LOVE YOU’ To Him Again (Math. 26:69-75; John 21:15-17). God Does Not Call People Because They Are Perfect, Instead He Perfects People Because They Are Called “Moreover Whom He Predestined, These He Also Called; Whom He Called, These He Also Justified; And Whom He Justified, These He Also Glorified” (Rom.8:30). Your Ministry Isn’t Something To Be Waited For But A Destination To Be Achieved. Step Out In Faith!!! 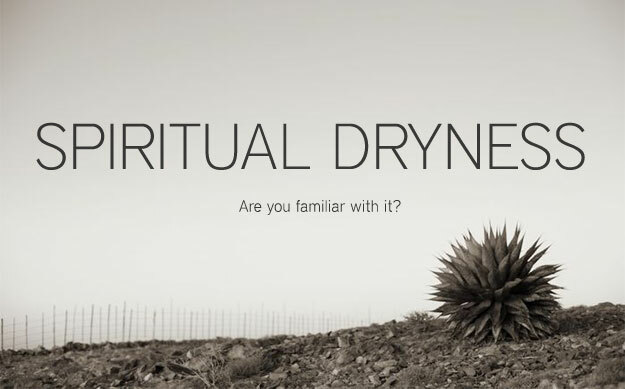 OVERCOMING SPIRITUAL DRYNESS IN LIFE AND MINISTRY!!! Ever experienced a period in your life when it looks as though you’re burning out spiritually? Ever gone through that face in which you feel as though you’re not a Christian anymore? Do you sometimes feel as if God must have abandoned you? Well, you’re not alone because times and again, folks have expressed such feelings and wonder why. The truth is that God wants us to come to the perfect knowledge of the Son of God, He wants us to align with our perfect self, that inward being who is born of the Spirit and lives by the faith of the Son of God (Gal. 2:20; John 3:6). We must live beyond our feelings and understand that God is there and the anointing is there even when we don’t feel like it. When I got filled with the Holy Spirit at age eight, about three years after the Lord first appeared unto me in mama’s little room, I started having overwhelming sensations of the Spirit all over me… That sensation was so beautiful and pretty helpful in my ministry of healing those early days and as long as I had them, I believed that all was well. However, years later as I began to grow, the sensation began to lift…It was so difficult those days and I began to wonder what must have gone wrong until the Lord came and taught me in another encounter that He took them away so I could learn to walk by faith…In that visitation, Jesus gave me Mathew 28:20 which says “…And be sure of this: I am with you always, even to the end of the age.” The Lord said as long as that promise remains in the Scriptures, I am with you always, no matter how you may feel! We don’t need to see to believe, we need to believe to see! On the other hand, some feelings of dryness may be due to neglecting private devotion or failure to walk in love and forgiveness towards others and that need to be corrected as quick as we get the knowledge of it. Once our conscience is pure that we’re walking in love then, we should be calm in Him. “Dear friends, if our hearts do not condemn us, we have confidence in the presence of God” (1John 3:21 ISV). Dryness isn’t always a result of sin, so don’t let satan take advantage of you and drive you into guilty thoughts and condemnation. God loves you and you’re beyond condemnation in Christ! (Rom. 8). Over the years I’ve seen amazing healing and testimonies resulted from ministering by faith when I don’t feel a thing. When you feel so dry, don’t allow depression or guilt to get your attention. Switch on your faith and walk in victory. Even when you don’t feel a thing, all things are possible if you will only believe. Don’t base your life on feelings, they’re too flimsy. Trust in the perfect love of God and understand the difference between your physical or mental feelings and spiritual reality. Faith isn’t a feeling; it’s a truth perceived by the sight of a better kind that beholds reality! Faith is the God kind of eyes! “Indeed, our lives are guided by faith, not by sight” (2Cor. 5:7 GWT). “For we live by believing and not by seeing” (2Cor. 5:7 NLT). Receive fresh fire in your spirit! Be strengthened with might inwardly in the name of Jesus Christ! PEACE! “Whoever Receives You Receives Me, And Whoever Receives Me Receives Him Who Sent Me. Every One Who Receives A Prophet, Because He Is A Prophet, Will Receive A Prophet’s Reward, And Every One Who Receives A Righteous Man, Because He Is A Righteous Man, Will Receive A Righteous Man’s Reward” (Mat. 10:40-41 WNT). Looking Back Over The Years Since I Began Preaching The Gospel The Morning After The Lord First Appeared To Me In My Room At Age Five And Called Me Into The Ministry, I Have Observed That The Result And Impart Of My Ministry Has Largely Been Determined By How The People Received Me. I Have Not Been Able To Impart Lives Where I Have Been Rejected Just Like Jesus Couldn’t Really Make Impart Where He Was Dishonored. “But In The Next Breath They Were Cutting Him Down: “We’ve Known Him Since He Was A Kid; He’s The Carpenter’s Son. We Know His Mother, Mary. We Know His Brothers James And Joseph, Simon And Judas. All His Sisters Live Here. Who Does He Think He Is?” They Got Their Noses All Out Of Joint. But Jesus Said, “A Prophet Is Taken For Granted In His Hometown And His Family.” He Didn’t Do Many Miracles There Because Of Their Hostile Indifference” (Math.13:55-58 MSG). Honor Is A Spiritual Law; Once It’s Violated You’re Disqualified For Spiritual Blessings. Jesus Said, ‘You Will Not See Me Again Until You Say, ‘Blessed Is He Who Comes In The Name Of The Lord’. This Doesn’t Only Speak Of His Return But It Means We Will Not See Him Till We Begin To Honor, Receive And To Bless Those Who Come In His Name (Mat.23:39). God Comes In His Messengers But You Must Look Pass Their Appearance And Flaws To See Him In His Fullness In Them. 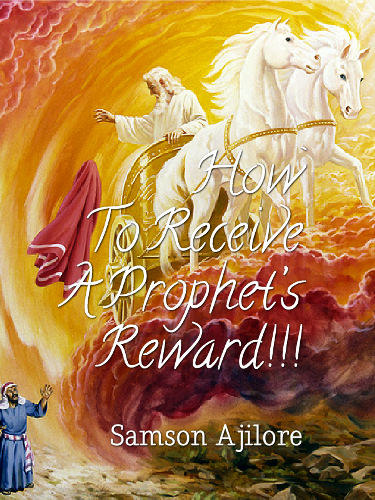 The Prophet You Dishonor Will Not Reward You. The Anointing You Despise Will Not Impart You. 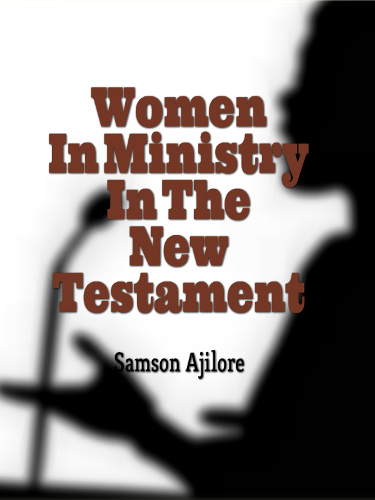 I Remember Giving A Word That A Certain Woman Was Going To Conceive And Another Woman Who Was Just Passing By And Had Been Barren For 12 Years Received The Word And Held It Preciously And She Conceived The Following Month. People’s Faith Always Limits Their Height In Spiritual Accomplishment. The Centurion Honored Jesus So Much He Said He Doesn’t Have To Come To His House For His Servant To Be Healed. He Understood Authority And The Power Of Spoken Words So He Begged Jesus To Just Speak A Word. “The Centurion Replied, “Lord, I Do Not Deserve To Have You Come Under My Roof. But Just Say The Word, And My Servant Will Be Healed. Then Jesus Said To The Centurion, “Go! It Will Be Done Just As You Believed It Would.” And His Servant Was Healed At That Very Hour” (Mat. 8:8, 13 NIV). A Woman Who Was Probably Inspired By The Centurion’s Story Said Unto Me, ‘Just Say A Word And My Son Will Be Healed’ And I Said Unto Her ‘Be It Unto You According To Your Faith’ And It Was So, His Son Was Healed Of Tuberculosis. “He Sent His Word, And Healed Them, And Delivered Them From Their Destructions” (Psalm 107:20). Another Fellow Said, ‘I Placed Your Picture I Got Online Upon My Only Daughter Who Was Mentally Sick And She Said She Saw A Brilliant Light Shone From The Picture And She Got Healed Of Her Mental Situation’. Another Said ‘Man Of God, I Begged You To Receive An Offering And In That Same Month I Made My First Million Profit’. There Are Countless Testimonies Resulting From People’s Faith In The Prophet. Faith Places Demand On The Ability Of God In His Prophets. The Woman With An Issue Of Blood Said ‘If I Could Only Touch The Hem Of His Garment I Shall Be Made Whole’ And The Same Garment Many Have Thronged With No Effect Made Her Whole Because She Touched It With Faith (Mark 5:25-29). Not Everyone Who Said Amen Or Liked The Prophetic Words Are Entitled To Been Changed By Those Words But Only Those Who From Their Heart Receive The Prophet. God In His Prophet Is A World Of Possibilities So His Declarations Are Not The Mere Words Or Empty Sayings Of A Mere Man But They Carry The Anointing Of The Holy Spirit To Make Anything Happen For Anyone Anywhere According To Their Faith. The Lingering Anointing Follows The Prophet’s Words And Anything And Everything That Proceeds From Him Even Long After His Physical Death. “Once While Some Israelites Were Burying A Man, Suddenly They Saw A Band Of Raiders; So They Threw The Man’s Body Into Elisha’s Tomb. When The Body Touched Elisha’s Bones, The Man Came To Life And Stood Up On His Feet” (2Kings 13:21 NIV). If A Dead Old Testament Prophet’s Bone Brought The Dead Back To Life How Much More Shall People Be Blessed Through A Living New Testament Prophet! Countless People Have Received The Baptism Of The Holy Spirit Just Reading My Book Or Write Ups. Many Others Have Been Healed And Lots And Lots Have Been Saved. An Elderly Woman Who Has Heard Of My Ministry Told The Children On Her Sick Bed, ‘Just Bring That Prophet’s Picture And Place It Upon Me And I Will Be Healed’ And That Was The End Of Her Long Time Paralysis! Glory To God! Yet There Are Still So Many Who Throng Me Daily But Are Just There, Not Receiving Anything Because They’re Either Ensnared In The Web Of Familiarity Or Unbelief. “Yea, Mine Own Familiar Friend, In Whom I Trusted, Which Did Eat Of My Bread, Hath Lifted Up His Heel Against Me.” (Psalm 41:9). Familiarity Can Make You Betray The Anointing That Should Uphold And Impart You. It Can Make The Prophet Look Too Ordinary By Making You Blind To The God Inside Him And Exposing You To All His Humanity. How Much Can You Receive? You’re Only Limited To Receive As Much As Your Faith Can Conceive. So Believe In The Lord Your God To Be Established And Believe Also In His Prophets To Prosper (2Chro. 20:20). In Whose Name Do You Receive The Prophet, Is It In A Brother’s, A Teacher’s Or In A Prophet’s? Don’t Just Receive Him In Any Name But In The Name By Which God Appointed And Anointed Him. In The Name Of A Prophet! Believe His Words Are From The Lord As Long As They Agree With The Word And Honor The Calling And Anointing Upon Him. Sow Into That Anointing And Lay Hold Of All That Your Faith Can Conceive. You’re Faced Up With A Prophet’s Reward!